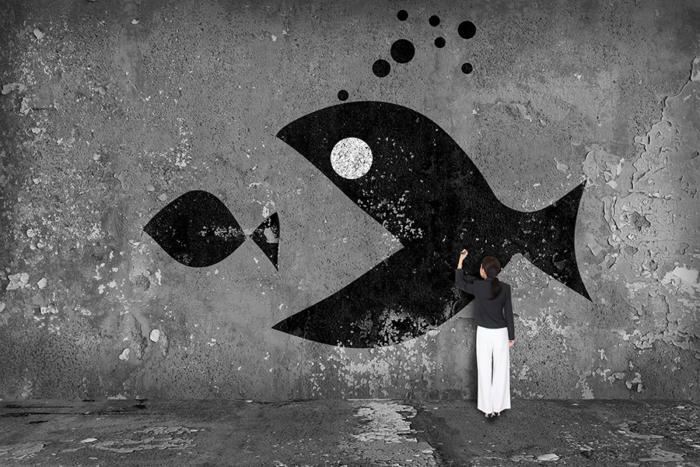 Last year, the health care industry logged a record number of mergers and acquisitions. In its annual report, Kaufman Hall recorded 115 hospital and health system M&A transactions in 2017, a 13 percent increase from 2016. The report anticipates an even greater number of transactions this year. The business drivers in this increased M&A climate include an effort to cut costs, improve efficiency, increase quality, and expand the economies of scale required to survive in an industry besieged by decreasing margins and increasing regulations. Mergers in health care aren’t new, though. They’ve been taking place for more than a decade. What has changed is the nature of an acquisition, its price tag and the value the industry expects to realize from a transaction. In previous years, acquisitions were more often straightforward, horizontal transactions: Hospital A would acquire a competing hospital. Today, we see vertically integrated acquisitions that may touch all corners of the industry from hospitals, suppliers and distributors, to medical group and health plans. These can be significantly more complex. Another notable change is the size of the deal. In a recent report, PwC found that the value of health care deals increased significantly in 2017, up more than 145 percent compared to 2016, totaling $175.2 billion. With so much money on the line, health care can’t afford M&A missteps. Successfully integrating business processes, systems and data is critical to realizing the goals of a merger or acquisition. And it’s not an easy task. In health care, both parties to an M&A will have their own technologies and ways of doing business. As an example, even when two companies use the same vendor for an ERP system or MMIS, it’s likely they are running different versions of the technology and have the systems configured differently. The data housed in these systems drive system-wide clinical, business, and financial performance. It’s imperative that IT does the hard work required to ensure successful integration of systems and business processes and help the health care industry fully realize the business goals of ongoing acquisition activity. Migrating data is likely the most challenging part of the integration process, but it has the potential to yield the most benefit. Combining systems means merging different data sets, and no one looks forward to that due to wide variety of data sets with which the industry works—patient information, supplies, devices, types of service, etc. Too often, the focus remains on the enterprise level: the integration of systems. But just as critical is ensuring standardization of the combined data sets to ensure businesses processes flow smoothly. Overlooking this can lead to disruptions across the procurement and payment cycles for both suppliers and providers, eventually affecting the level of patient care. For suppliers, challenges arise in the form of order disruptions and longer revenue cycles. Acquisitions typically drive changes in account numbers, remit locations, contracting and product numbers. The changes must be communicated to every customer, and those customers must make updates in their respective systems. For example, a hospital that is buying from a newly acquired supplier organization will need to make changes to its item and vendor masters, as well as its contract management and accounts payables systems. Historically, the time and effort involved in accommodating those changes has been vastly underestimated. As the newly merged company moves forward toward its go-live, the domino effect takes hold. If suppliers don’t fully understand the business processes of its customers, and communicate changes accordingly, the data that serves as the foundation for these transactions won’t match. Orders will fail. Service disruption may drive customers elsewhere. This misalignment between data also affects payment. A supplier can’t cash a payment written to the former company. Hospital CIOs face similar challenges. The initial focus following an M&A will be the integration of clinical systems, followed by financial and ERP systems. The organization will, of course, eventually look at the order and payment processes, where a lack of data standardization will cause enormous headaches. When it comes to merging procure-to-pay systems, the devil is the in the details. For example, nomenclature differs between hospitals for routine supplies, such as catheters. In addition to descriptions, product numbers can differ. Order numbers will vary. Hospital A may use a dash in its orders, while Hospital B does not. And this all adds up. These detailed attributes are the basis of financial and clinical planning activities, so taking steps to standardize data is critical. If data discrepancies aren’t rectified, it will be difficult to create accurate reports on usage and price—resulting in substandard contracting and forecasting. A lack of standardization has a negative impact on account payable processes as well. Consider again Hospital A and Hospital B, and the newly merged entity, Hospital C. One hospital may pay a vendor by check, the other by ETF. The new entity may use a unified process. Standardizing data is no small undertaking, but it’s essential to success. Hospital CIOs willing to put in the work might want to consider the following three processes to ease the transition and maximize success. Conduct enhanced diligence to understand the hospital’s source data in terms of item and vendor master management, contract management and clinical integration from those systems. This is where problems arise. You won’t have problems consolidating ERPs. The problem will be misaligned data. Define a transition period and know that the transition will not be complete the day the deal is signed. Don’t expect immediate alignment. Recognize that you are going to have to operate independently, and then integrate source data one system at a time. Begin with a single system, such as contracting or payment. Ensure the data is cleaned and aligned, and then merge the two systems. Make sure the data is clean within each system before you integrate it into the clinical, financial, and business intelligence systems. Consolidation within the health care industry won’t slow down in the foreseeable future. CIOs, CTOs, and other business leaders have an enormous opportunity to lead the charge in integrating systems and processes to ensure the intended value of acquisitions is realized with an aim to continue to improve patient care while stripping out unnecessary costs. Steve Cochran is chief technology officer (CTO) for Global Healthcare Exchange (GHX), a provider of advanced cloud-based healthcare supply chain management solutions.